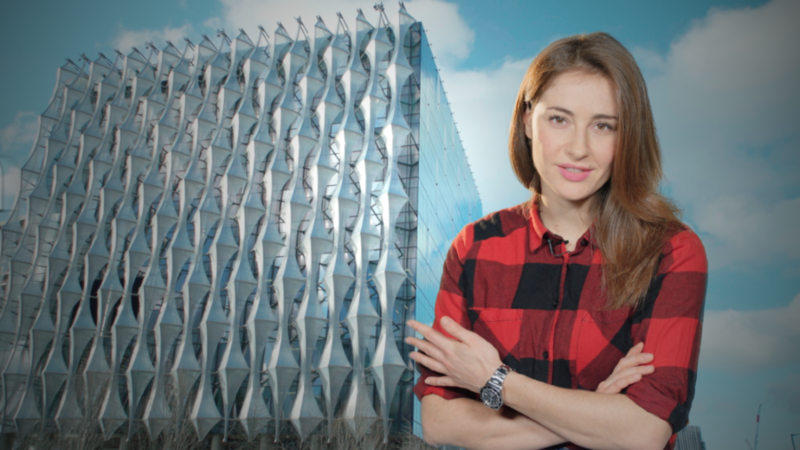 President Donald Trump may have shunned London by canceling his upcoming visit to open the US embassy – but anyone passing by the £1 billion building today will have seen The Donald outside. 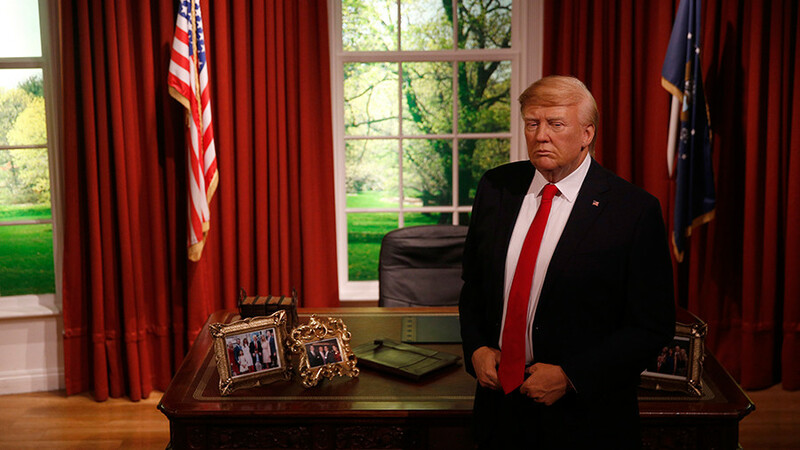 Quick thinkers at Madame Tussauds joined Britons’ hilarious reaction to the news by sending in their waxwork of the 45th president on Friday. A life-sized Trump statue was positioned outside the new embassy in Nine Elms, London, before being surrounded by reporters. 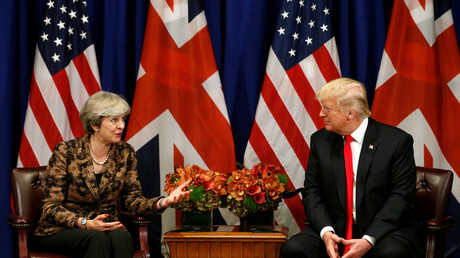 Trump canceled his February visit early on Friday morning, confirming on Twitter he would not take Prime Minister Theresa May’s offer to come over for a working visit. 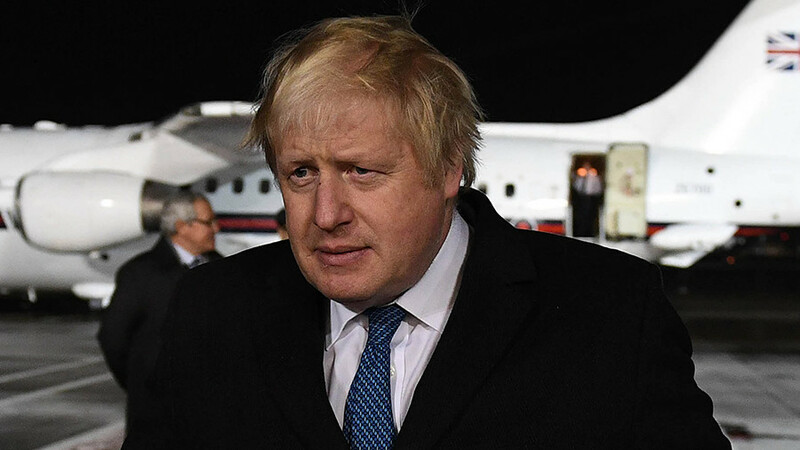 Despite suggestions he feared mass protests and security issues, Trump said he had decided to stay in the US because he could not open the embassy as he does not like it. When the statue was unveiled in 2016, Madame Tussauds revealed yak hair and squirrel hair were used to replicate Trump’s standout style. The statue is also wearing a trademark red tie, US flag pin and navy suit. “Since Mr Trump was announced as the victorious candidate in what was a nail-biting and hard-fought campaign for both parties, our studio team have been frantically busy matching his infamous glowing tan and trademark hairstyle in time for the start of his presidential reign,” Edward Fuller, general manager of Madame Tussauds, explained. And it went down a treat. Trump was at the center of a hilarious reaction from Brits today who took aim at the White House. The hashtag #ICancelledMyTripToLondon began trending hours after Trump’s announcement.